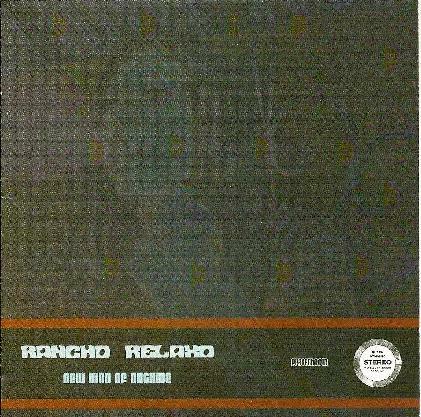 Rancho Relaxo - "New Kind of Orchide"
From somewhere deep in the Norwegian woods comes Rancho Relaxo. They bill themselves as shoegaze meets The Byrds, and it's an apt description. Catchy, chorus-filled, hook-laden songs with strumming guitars, garage rock riffs, crashing drums, and organ conjure up memories of 60's folk rock with touches of psychedelia. But it's all played amidst a swirling haze of chiming, effects laden electric guitars, deep echoing vocals and shimmering noise. The band even gets a little Krautrocky at times with some cool repetitive one chord grooves, like on the title track, and they throw in the odd dreamy psych ballad like the song Let It Glide. One of the more interesting (and most psychedelic) numbers on the album is the closer Electronic Orbital Roadmovie, a haunting and mysterious instrumental with a real cool alien vibe to it. New Kind of Orchide will likely appeal to fans of bands like the Byrds (as long as they like their folk rock with a heavy dose of psychedelia) but most definitely it will hold appeal to fans of bands like Spacemen 3 and My Bloody Valentine who combined shimmery space noise with catchy melodies.